In-terms of the story, everything's fairly simplistic in a retro-RPG sort of way and for the most part nothing will really surprise you as the plot-twists are relatively weak in this game, but that being said there's still alot of substance to the plot so it isn't all bad. Perhaps the fact that we played Alphadia Genesis first might have made us aware of plot-twists beforehand so it may not be the game's fault. The gameplay is fairly solid and feels like a classic SNES RPG such as Final Fantasy IV, V, or VI with excellent turn-based battles, a fairly large world map, and some devilishly lengthy and challenging dungeons. The battles start off way too easy for the first 10-15 hours of the game, but once you gain access to the ship things become incredibly difficult. The game is also fairly lengthy and will likely provide newcomers with 30-40 hours of gameplay and can take upwards of 50 hours if you're a completionist! Visually the game looks nice! 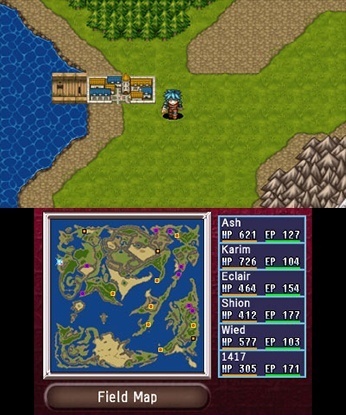 The 16-bit graphics in battles, towns, dungeons, and the world map are excellent, while the hand-drawn anime-style cutscenes look superb. The special effects can look good at times, while at others they look fairly cheap. The sound effects in the game are decidedly retro and fit the game well while the soundtrack is fantastic and will really immerse you into the game! 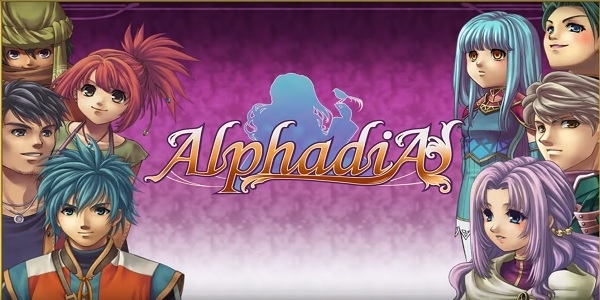 With a good story that's fairly predictable if you've already played Alphadia Genesis for the Wii U, excellent gameplay with an unbalanced difficulty level, and a mostly superb audio-visual presentation, Alphadia is far from perfect, but is still a very solid title if you're a fan of JRPG's. And as such we give the game a solid level of recommendation! I have game so much fun. This review is amazing @Ichigofan!